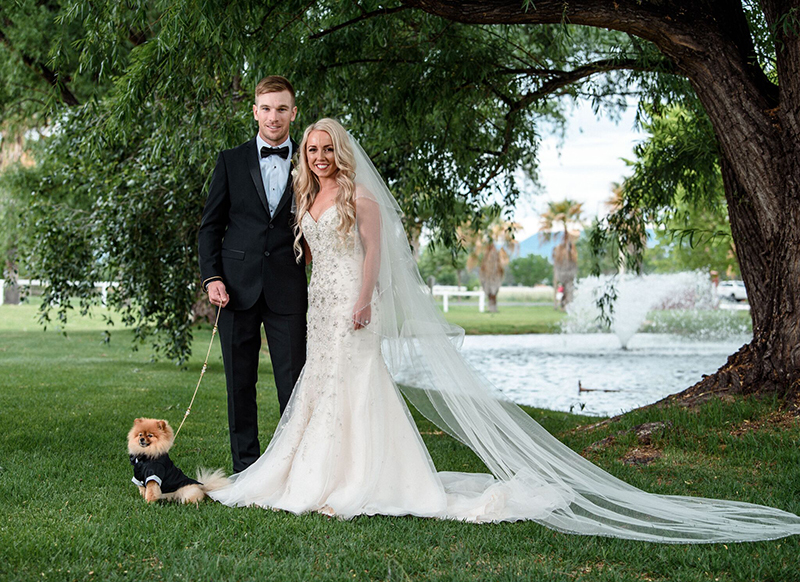 Celebrate your big day with your furbaby! Your wedding day marks the start of your life with another person, for “as long as you both shall live”. However, as dog lovers, you know you both have already committed to a life long love obsession with your dog. 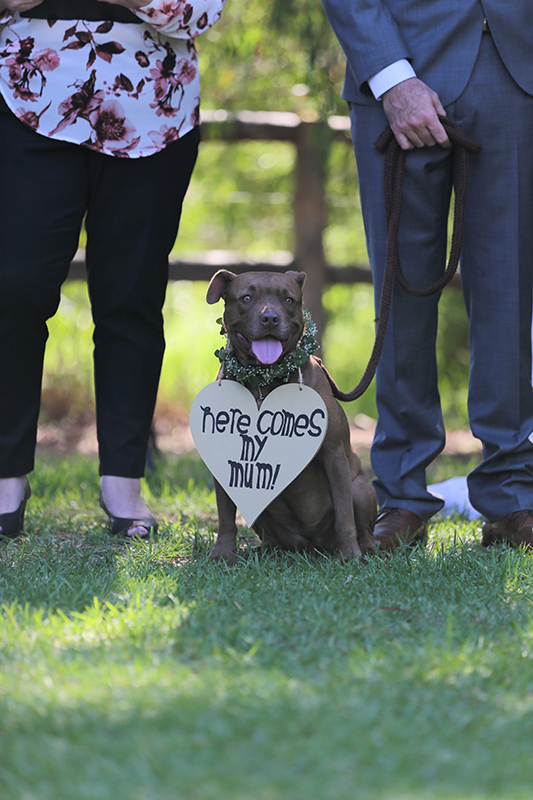 So it’s only natural that you’d both want your beloved pet to be a participant in your big day. But some people wonder how they can include their furbaby in their wedding day celebrations. 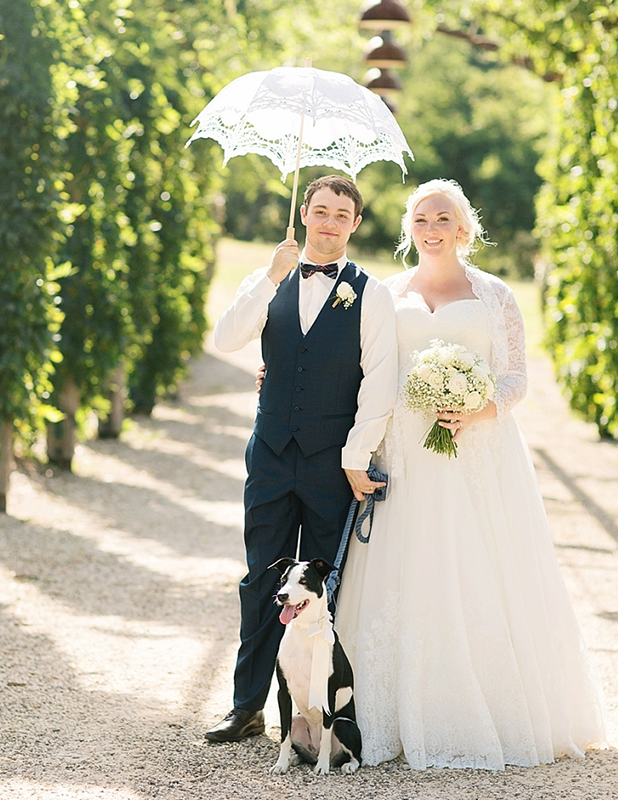 So here are our 6 tips for having your dog at your wedding. 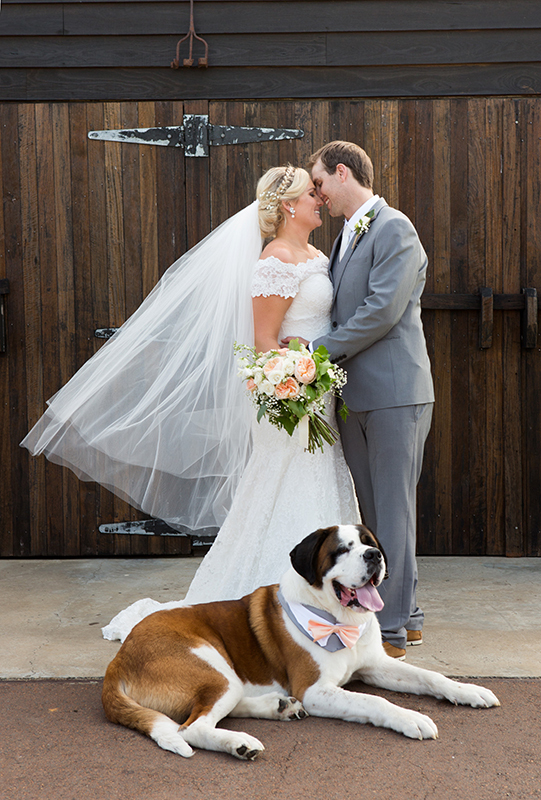 1: Check your Wedding Venue is Pet Friendly! It might seem obvious, but the first thing you should check is that your wedding venue is okay with pets. You don’t want to turn up on your big day and end up in arguments with the staff. Or have your dog banned and try to organise a way to get him or her home. Save yourself the headache, heartache and hassle on your wedding day. If you’re determined to have your dog at your wedding, then be sure to check that your venue is pet friendly first. Further, make sure the location, facility and rental agreements all in agreement so there are no issues and you know where you stand. 2: Remember Your Pet isn’t Human! The old adage is, never work with animals or children. And there’s a good reason for it. Children and animals are difficult to predict and direct. 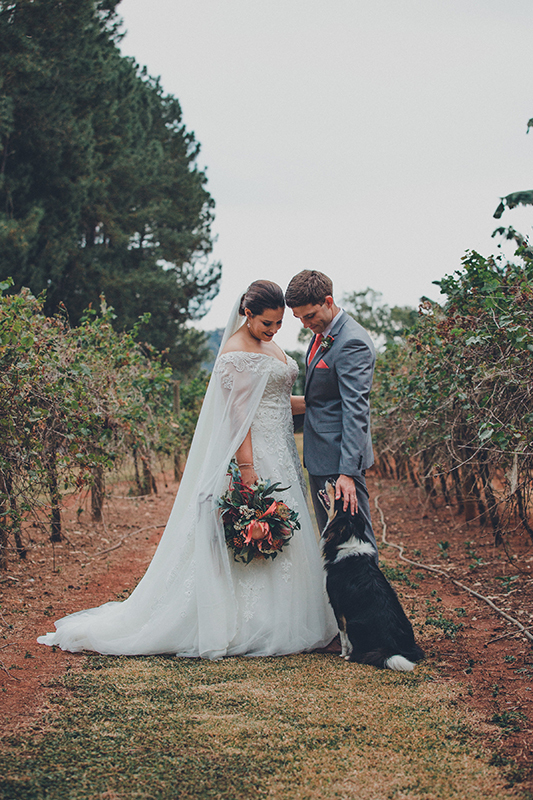 So, while your wedding day is meant to revolve around you and your partner’s wishes and desires, your dog might have other ideas. You need to consider your dogs needs, behaviour and socialisation levels before you add them to your wedding. For example, if your dog has socialisation issues or anxiety in crowds, then your setting yourself and your pet up for failure and disappointment. You need to have realistic expectations for your dog. If your pet isn’t good in crowds, rather than including them in the bridal party, you can include them around the event. Maybe they can be part of pre-wedding photos, instead, or if you’re having a smaller, family reception, include your dog then with people they know. Further, if the big day arrives and there’s a dog rebellion, take it in stride. Remember, no wedding goes to plan and things that “go wrong” on the day turn into beloved stories in years to come. So expect the unexpected and enjoy your day with your partner and your best friend. 3: Play to your Dog’s Strengths! On the above, if you want the best chance at a successful wedding day with your dog, then try to play with your dog’s strengths. If they have a command they’re especially good at, use that to your advantage. Have your dog sit or lie in a prominent position during the ceremony. Or, if you have a dog who is a bit antsy, but they’ll happily run to you and your partner, why not have them as your ring bearer. Have a friend – or designated pet sitter – monitor your dog before the rings are needed, then have them at the ready to scoop them up after delivering the rings. Further, if your pet is comfortable with wearing outfits or “doggie-wear” you can always have them show off in a little tux, tie or bow tie. Whatever their strengths are, plan ahead and rehearse so your dog is acclimatised and you’re all ready for the big day. As mentioned before, if you can’t include your dog in ceremony you can include your dog photographs. With a little creativity and a photographer good with dogs, you can get some amazing shots with your dog. 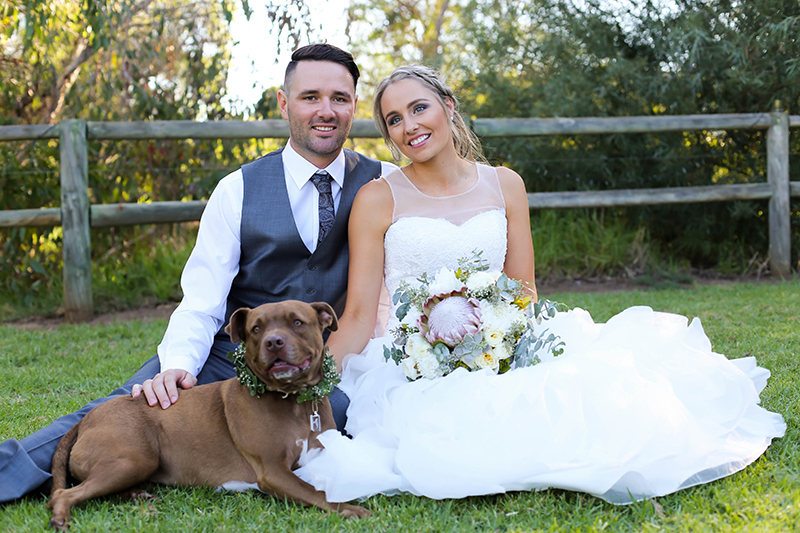 With everything from wedding invitations to pre- and post-ceremony photography, your dog can feature in your wedding in incredibly fun ways that can make a truly life long impressions. 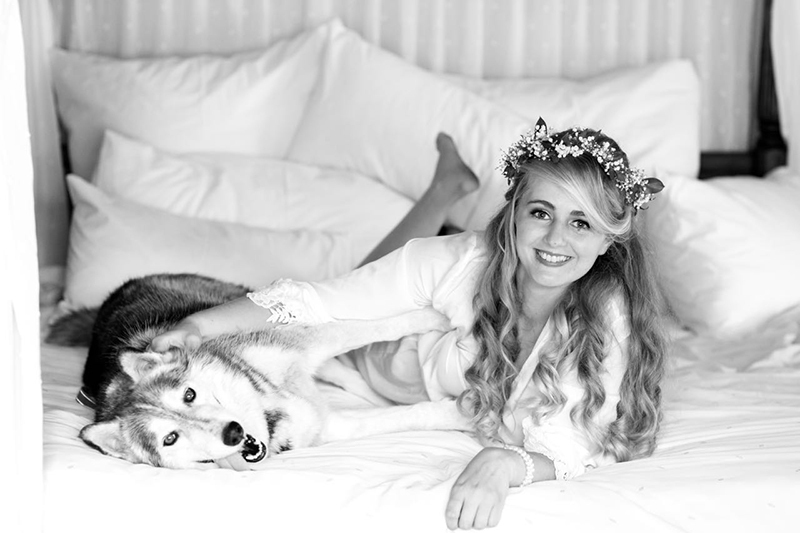 Try looking for a photographer that’s good with animals and pets when looking for your wedding photographer, to get the best out of your day and your photographs. For your dog’s comfort and your peace of mind, the best idea is to hire a dedicated pet sitter for the day. After all, you have a bridal party to help you and your partner throughout the day, so your dog is no different. Don’t assume you, your partner, or your family will have the time or ability to juggle your dog’s needs as well. And you don’t want your dog to get neglected. So it is imperative that your dog has someone dedicated to looking after their needs. A pet sitter can help ensure your dog is calm, engaged, exercised, has plenty to drink and is fed appropriately throughout the reception. You don’t need to worry that your dog is being neglected or stressed and your dog can enjoy the party, too! 6: Are Your Guests Comfortable with Dogs? The final consideration is your guests. Will everyone be okay with a dog at the wedding? While for some this is a more minor concern – especially if you know that your dog will only be at the ceremony, and there are no health concerns among your guests. However, if there are any guests with severe allergies to dogs, especially if your dog is going to be present at the reception, then you might want to reconsider your dog at your wedding. While it might be frustrating for you, for your allergic guests sharing the dance floor with a furry guest might be miserable. And do you really want someone uncontrollably sneezing, wheezing, or worse, in need of an epi pen? And, further, there are some people and children, who are just plain scared of dogs. While a dog sitting quietly during the ceremony, or walking down the aisle is fine, a dog cavorting about at the reception might turn a fantastic celebration into a terrifying experience for them. So if you’re considering your dog as a wedding guest, check around first to make sure you check with all your guests that no one is severely afraid or allergic before you mark down your dog as a guest.